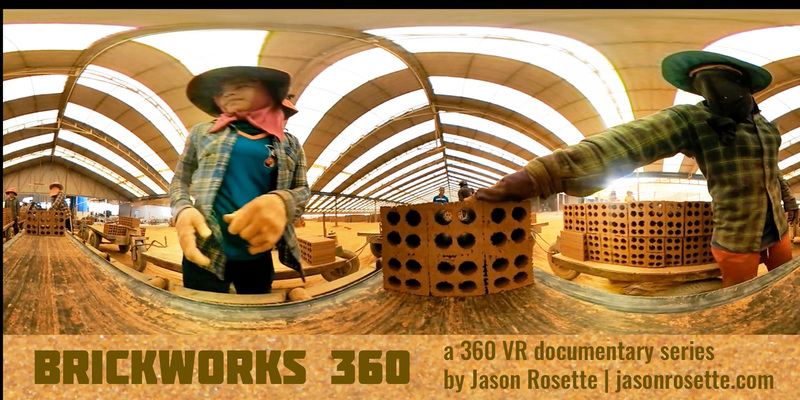 Jason Rosette is a creative, award winning writer-director and filmmaker with over two decades experience producing motion media in the USA and abroad. He has directed and produced content in the USA, Central America, Mexico, Thailand, Vietnam, Cambodia, and Myanmar, with a particular regional focus on ASEAN-APAC (Asia) between 2005 and the present. Mr. Rosette is a seasoned go-to talent for scripted, factual, and short form content that seeks to deliver philanthropic, multicultural, educational, and prosocial messages. This hallmark continues with his recent direction of prosocial spots for Microsoft Philanthropies in Asia, and other philanthropic, prosocial and educational work. A graduate of NYU Film (BFA), with an MA in International Development studies from Royal University of Phnom Penh, Jason Rosette self-launched his career in New York with the "Utterly compelling" (Jacksonville Film Journal) grass roots feature documentary, 'BookWars' ("Terrific" - LA Times), which he shot, produced, edited and directed while working as a sidewalk bookseller in Manhattan in the mid to late 90's. Despite the no-budget production of the film, 'BookWars' was released in the year 2000 to wide critical acclaim, and won the Best Documentary award upon its premiere at the New York Underground film festival. The movie was screened and broadcast widely, and is now a part of the circulating films collection at the Museum of Modern Art in New York. A unique insider's perspective on the making of this contemporary classic movie, '10,000 Miles to Go: An American Filmmaking Odyssey', is available on Amazon, Nook, and other platforms. A number of experimental films and videos followed the release of that picture, with short form PSAs and prosocial spots produced for several local and international NGOs. Between 2003-2004, Mr. Rosette returned to his former homestate of New Mexico during the infancy of that state's filmed incentives program, to write, produce, and direct the multicultural sci-fi feature road movie, 'Lost in New Mexico'. That scripted dramatic feature enjoyed domestic festival play and a number of positive reviews; the Moving Arts Journal called the movie "a unique and interesting take on the fluidity of technology versus the recurring commonality of the human condition", while it was "Recommended for adventurous viewers" by the Library Journal. It continues to play and stream to this day on VOD and OTT. In 2005, Mr. Rosette became active in the ASEAN-APAC (Asia) region, and directed a number of high profile advocacy documentaries for NGOs, CSOs, and private sector organizations. Clients included WildAid, Conservation International, Fauna and Flora International, and USAID implementer DAI among others. Several of those projects were produced under exceptionally challenging conditions, with equipment (including generators and electric) for the wildlife advocacy documentary 'Have Forest Have Life' being brought in by off-road motorcycle into remote forested and mountain areas. Pivoting off of his own New York theater and on-camera acting experience, Mr. Rosette demonstrated a deft capability to ideate and work with talent of all kinds, as he cast, coached, and trained indigenous Jarai, Tampuen, and Kreung participants to deliver testimonial voiceovers in character for that project. A jungle-VO booth was constructed per his design out of local materials, using vines and other canopy matter as sound proofing. 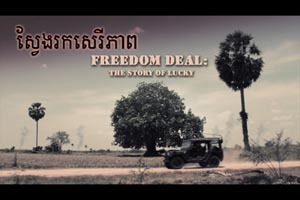 Independently produced work in Asia included the supernatural Vietnam war-themed historical drama, 'Freedom Deal: Story of Lucky', the homegrown rockumentary and festival favorite, 'Vuth Learns to Rock', experimental time lapse movies including 'Bangkok Traffic', lifestyle and travel oriented content including 'Burma Bong', the festival-selected eco documentary 'Crab Ladies', and others. 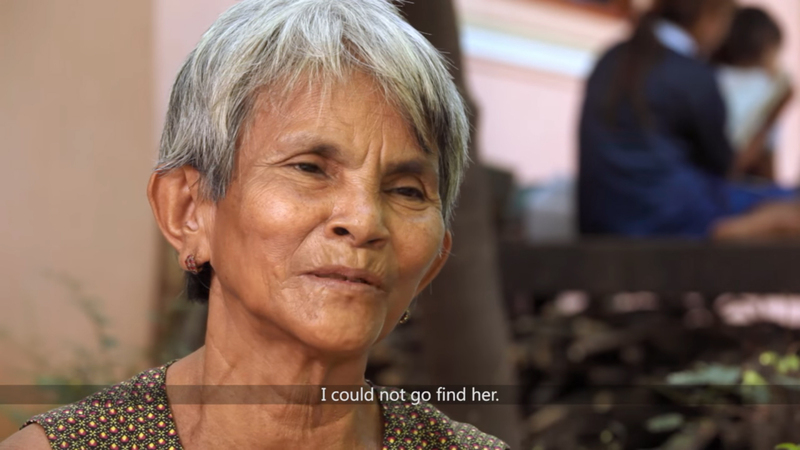 The documentary short, 'Orphan Teacher', informally produced in a makeshift classroom in Cambodia, reveals Mr. Rosette during his work as a volunteer educator for disadvantaged girls and boys in Phnom Penh. During this time, he also worked (and continues to work) as a line producer and location manager for productions visiting the ASEAN-APAC region. While in Asia Mr. Rosette and his Khmer colleagues launched, directed, and curated the first internationally recognized film festival in Cambodia since the end of the Khmer Rouge regime, CamboFest: Film and Video Festival of Cambodia. He similarly launched a regional partner event, called the Bangkok IndieFest, with friends in neighboring Thailand. The Bangkok IndieFest was hailed as a 'CNN Go Asia' pick upon its launch, only days after the turbulent 'Red Shirt Protests' in Bangkok at the time. Between 2010-2011, he worked as a forensic editor on an action feature in Bangkok, reconstructing problematic and missing story elements in post-production, while cutting on-set and offline for various TVCs. He also worked with regional animation house, Imagimax. Ltd., as a screenwriter and script doctor, co-writing the period Chinese themed animated feature 'Swordsman' amongst other projects. 2013-2014 saw Mr. Rosette working as an employee of the US Department of State with the US Embassy, Yangon (Rangoon Burma) at the American Center where he operated as an educator and youth group monitor. He simultaneously utilized the Embassy's direct satellite internet connection to promote his regionally produced content, including the Asian marijuana-themed travelogue, 'Burma Bong', and the Vietnam war period supernatural scripted drama, 'Freedom Deal'. Other work directed in Asia include a music video for artist Gone Marshall, 'Go On', which was shot underwater and on land on Snake Island between Cambodia and Vietnam; the festival favorite mini-short, 'I'm Sorry I Forgot', starring Poppy the Orangutan; the quirky UFO themed 'Mysterious Workers atop Bokor Mountain'; a Microsoft Philanthropy video project (Asia) profiling the prosocial application of the Azure cloud system; a range of PSAs and outreach videos for childrens' welfare organizations in Cambodia; and many others. Mr. Rosette is currently developing a scripted series based on the completed dramatic film, 'Freedom Deal', an OTT edutainment video portal, an array of short form prosocial PSAs, commercial TVCs and related work, and other US-Asia crossover scripted and factual film and video projects.